Yes, it's true! Seattle Opera's 2014/15 season will take you from the mouth of hell to the gateway to paradise; from the top of Castel Sant'Angelo to the house of the wealthiest man in Seattle, crossing "O'er Scythian hills to the Mæotian lake" (as Stephanie Blythe will sing as Juno in the Seattle Opera premiere of Handel's Semele). We hope you'll come with us on an incredible operatic journey, with operas from three centuries and three different languages! Our season will feature your favorite stars--Greer Grimsley, Ms. Blythe, Lawrence Brownlee, Sarah Coburn, Kate Lindsey, Christiane Libor, and will include our own productions of Don Giovanni, Tosca, Semele, and Ariadne auf Naxos. 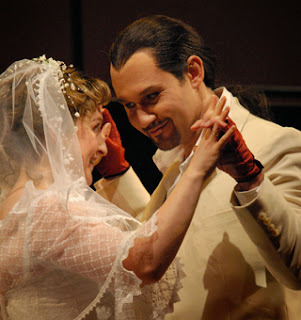 Ailish Tynan (Zerlina) and Mariusz Kwiecien (Don Giovanni) in Seattle Opera’s 2007 Don Giovanni. Kicking things off is Mozart’s multifaceted portrait of an unrepentant Casanova: Don Giovanni. Since first fascinating audiences at its 1787 premiere, this masterpiece continues to be opera’s ultimate cautionary tale about the human cost of unbridled lust. French bass Nicolas Cavallier returns to Seattle as the dangerously charming title character. Lawrence Brownlee, Seattle Opera’s Artist of the Year for 2008, returns for his first mainstage Mozart role at Seattle Opera as Don Ottavio. 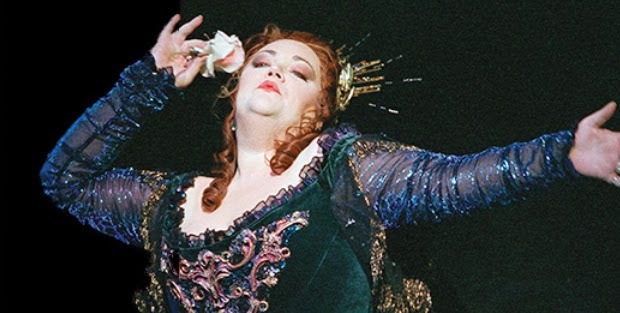 Elizabeth Caballero and Christine Brandes share the role of Donna Elvira, with Erin Wall and Alexandra LoBianco making their Seattle Opera debuts as Donna Anna. Gary Thor Wedow conducts a stylish production, first created by Seattle Opera in 2007. Chris Alexander directs, with costumes by Marie-Therese Cramer and sets by Robert Dahlstrom. Lisa Daltirus (Tosca) and Greer Grimsley (Baron Scarpia) in Seattle Opera’s 2008 Tosca. In January 2015 comes Tosca, Puccini’s crowd-pleasing masterpiece about a fiery diva, an idealistic painter, and a corrupt police chief. Two stellar sopranos, Ausrine Stundyte (opening night) and Mary Elizabeth Williams (alternate cast), return to Seattle to sing the title role; Stundyte wowed Seattle as Cio-Cio-San in 2012, and Williams won Artist of the Year for her Serena in Porgy and Bess in 2011. The production also stars tenor Stefano Secco as Mario Cavaradossi and features the return of Seattle favorite and Artist of the Year winner (for Wotan in the 2005 Ring) Greer Grimsley as the power-mad Baron Scarpia. The production, which features the impressive sets and sumptuous costumes of Rome in 1800, will be directed by Jose Maria Condemi. Next, Handel’s sensuous and sparkling charmer, Semele, comes to Seattle Opera for the first time. An unsophisticated but ambitious young woman leaves her origins behind in an attempt to enter the rarified realm of the “beautiful people.” Seattle Opera’s elegant, all-new production stars the incomparable mezzo-soprano Stephanie Blythe, Artist of the Year winner for 2009, as Juno, the goddess bent on teaching the interloper a lesson. Making their Seattle Opera debuts are tenor Alek Shrader as Jupiter, Juno’s philandering husband, and soprano Brenda Rae as Semele, the vain mortal woman he loves. John Del Carlo returns in the double role of Cadmus and Somnus. Seattle Opera Young Artist alumni Dana Pundt, Theo Lebow and Deborah Nansteel return in the alternate cast. Tomer Zvulun directs this Seattle Opera premiere, which features scenery designed by Erhard Rom and costumes by Vita Tzykun. Gary Thor Wedow returns to conduct. 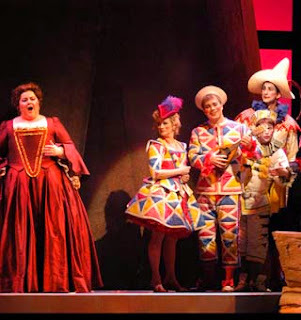 Jane Eaglen (Ariadne), Jane Giering-DeHaan (Zerlina), Philip Cutlip (Harlekin), Seth Malkin (Truffaldino), William Saetre (Brighella), and Steven Goldstein (Scaramuccio) in Seattle Opera’s 2004 Ariadne auf Naxos. The season concludes with the return of Seattle Opera’s hit production of Richard Strauss’s Ariadne Auf Naxos, which amazed audiences at its premiere with a minute-long sequence of indoor fireworks. Kate Lindsey (Artist of the Year winner for 2010) as the high-strung Composer and Sarah Coburn as the flirtatious Zerbinetta find that true love really does have a transformative effect. Sarah Larsen and debuting soprano Haeran Hong sing these roles in the second cast. Soprano Christine Libor returns as Prima Donna/Ariadne, with Marcy Stonikas taking the role in the alternate cast. Tenors Arnold Rawls and Ric Furman, as Tenor/Bacchus, give the abandoned Ariadne a new reason to live. Lawrence Renes conducts and Chris Alexander directs a production which won him the Artist of the Year Award for 2004, with sets by Robert Dahlstrom and costumes by Cynthia Savage and Bruno Schwengl. 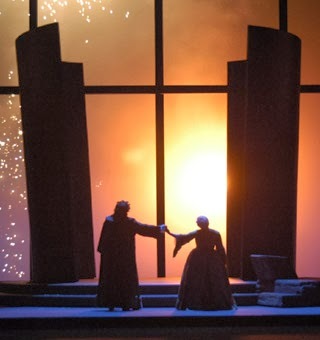 Final scene from Seattle Opera’s 2004 Ariadne auf Naxos. Learn more about the 2014/15 season HERE.